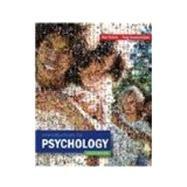 Featuring a look and style that's more like a magazine than a textbook, Plotnik's INTRODUCTION TO PSYCHOLOGY, Tenth Edition will draw you in and show you how exciting the study of psychology can be. This modular, visual approach to the fundamentals of psychology--the pioneer of the "visual" or "magazine" style approach--makes even the toughest concepts engaging and entertaining. Each and every page is individually planned, written, and formatted to effectively incorporate the use of Visual Cues, which help you to better remember information. Extensively updated, the text also utilizes "chunking," a method of breaking concepts down into small, easily digested sections that help you learn at your own pace.